Hanoi (VNA) – Prime Minister Nguyen Xuan Phuc held separate meetings with the ambassadors of Chile and Canada in Hanoi on January 29. 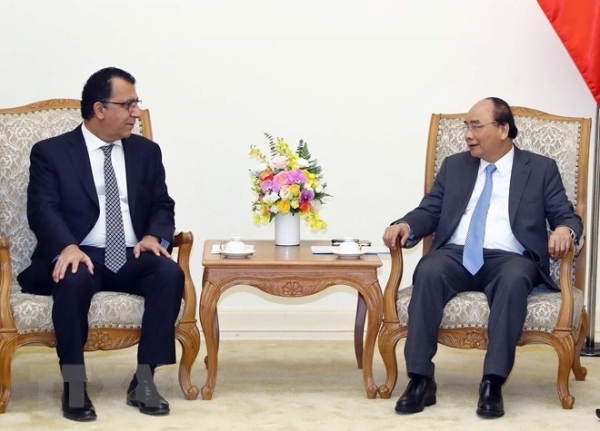 Talking about Chile’s hosting of the Asia-Pacific Economic Cooperation (APEC) forum in 2019, PM Phuc pledged that Vietnam will actively support the country in organising the event and asked Chile to arrange bilateral meetings on the occasion of the forum. At the meeting with Canadian Ambassador Deborah Anne Paul, PM Phuc said the relationship between Vietnam and Canada is at the best level ever in all spheres, from economy to national defence and security. He asked the diplomat to make greater efforts to promote the bilateral trade in the time ahead, suggesting that the Canadian side organise more trips to Vietnam for Canadian enterprises to study the market. Canada stands ready to support Vietnam in assuming the ASEAN Chairmanship in 2020, she said, adding that the two countries will organise many activities marking the 45th anniversary of diplomatic ties in 2019.